The practice of yoga completely resonates with me, endlessly fascinates me and it has given me practical tools which continue to help me to make positive changes in my life, so it’s my great joy to help others in the same way. I completed 5½ years training in yoga and continue to learn and refine as I teach. 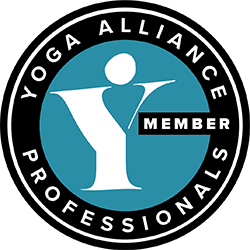 Initially I trained with the British Wheel of Yoga (BWY) and then the Yoga Biomedical Trust to become a yoga therapist, combining my nursing skills with yoga. As well as being a RGN nurse for many years, I trained as a complementary therapist so my skills include head massage, massage, anatomy and physiology and reflexology. I also specialized in yoga for children with Swami Vedantananda Saraswati from the satyananda tradition. Having written a training course and manual, I have run the BWY children’s module for twelve years. And Michelle is excited to start her 330 hour Teacher Training course May 2017. 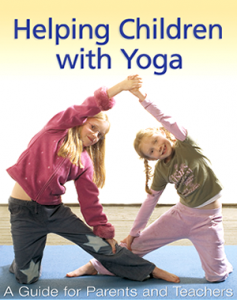 I’ve been regularly teaching yoga classes to adults and children of all ages since 2000. I also work with individuals in one to one sessions – either to deepen their yoga practice, or as therapy to manage or recover from an illness. 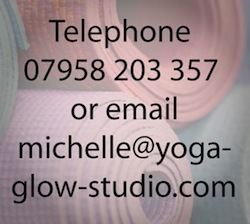 Read about Michelle’s vision for Yoga Glow Studio. Back to all Yoga Teachers.